What a party! 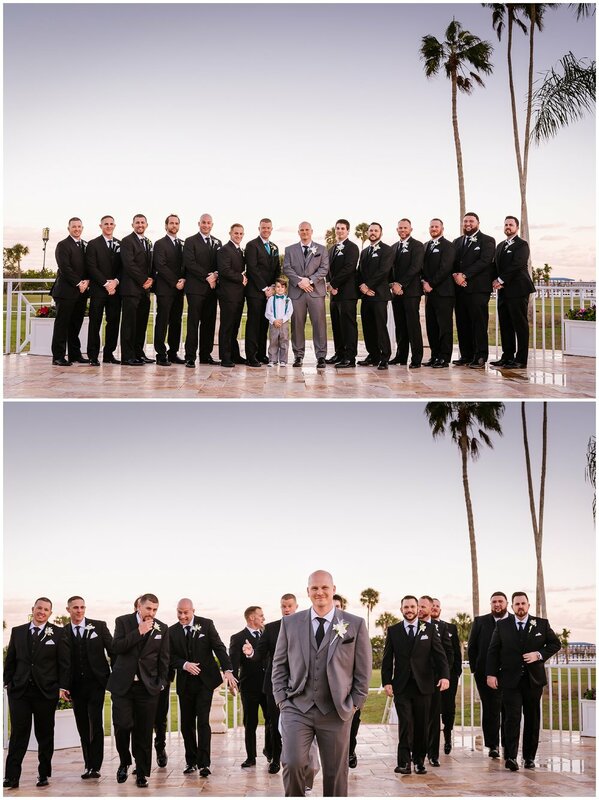 Danielle and Ryan had a giant bridal party full of friends and family! Even their fur baby Hanley was there decked out in a tux thanks to Fairytail Pet Care! 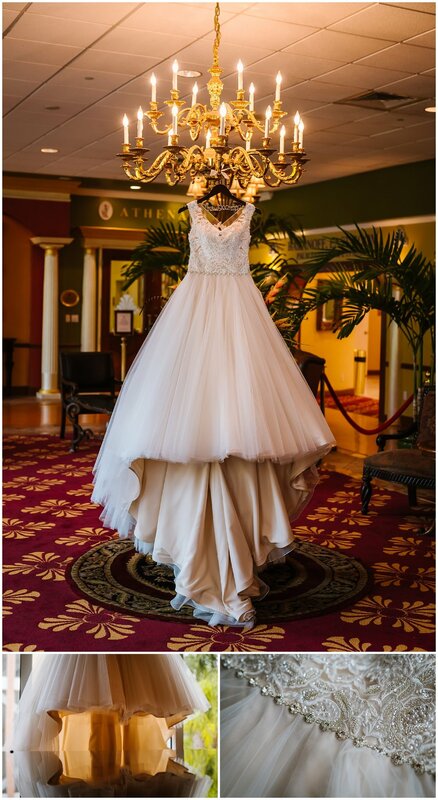 I loved capturing all the Gatsby inspired details in the decadent lobby of the Safety Harbor Spa, it was the perfect place for them to get ready. 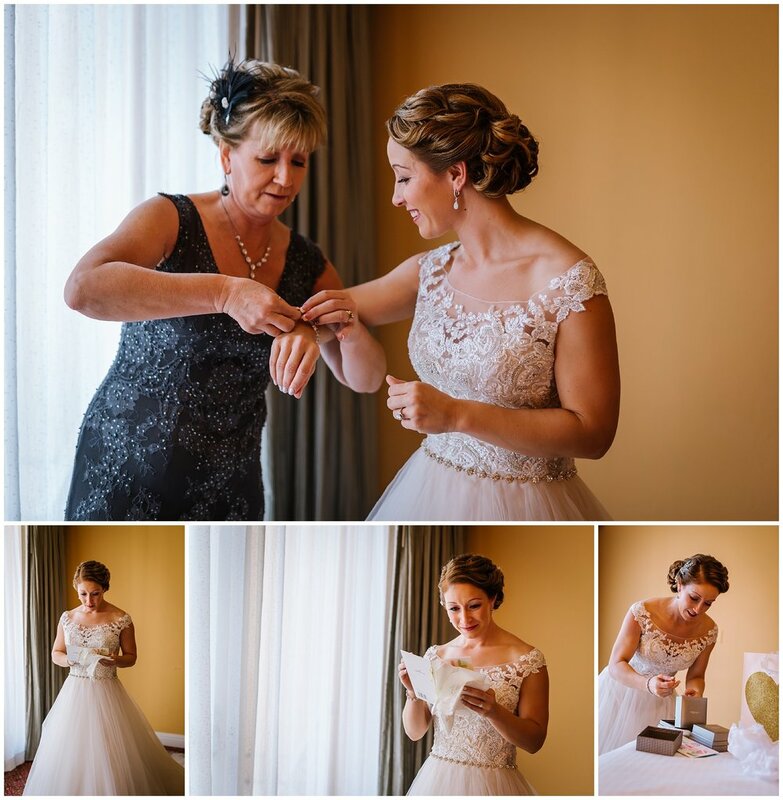 Danielle was able to have a special first look moment with her groom and her lovely father that day. Did you check out his style!? Spats and all! Nailed it. It was perfect to see him in the lobby on our way outside to see Ryan. The weather held out just enough for us to have their beautiful first look and formals portraits outside on the grounds of the spa, phew! The peeked out and smiled on these two! They loved being able to love on Hanley and have photos her too. 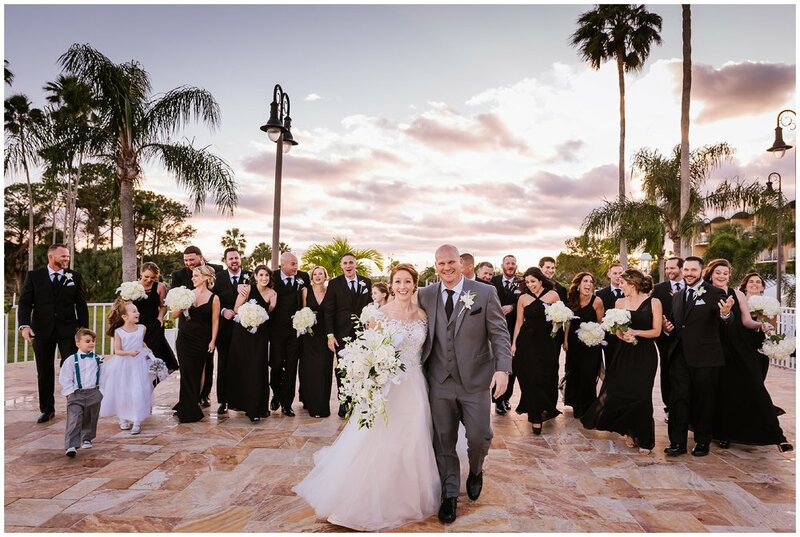 When it was time to tackle the 26+ person bridal party I was so thankful for the cloud cover and the giant veranda! But mostly I was so thankful that everyone was fun, happy, and cooperative, yay! 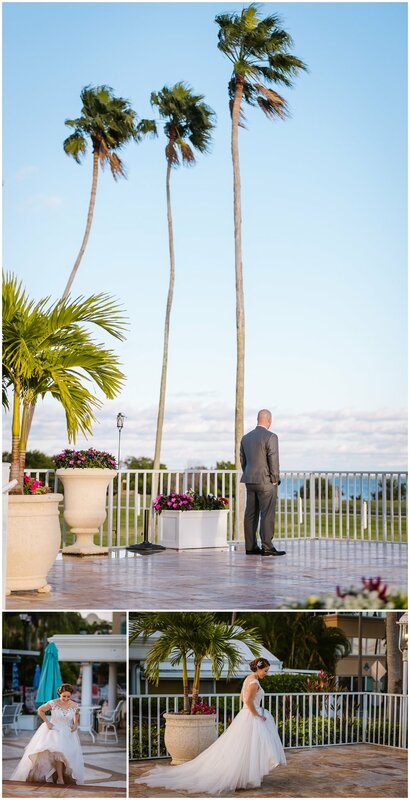 When it was time for their romantic evening ceremony the weather was no longer in our favor as much. Unfortunately the wind was kicking up and the temperatures were dropping. The market lights and chandelier luckily came through when the candles couldn't hold up. All of their loving guests bundled up and got ready to witness a unique ceremony! 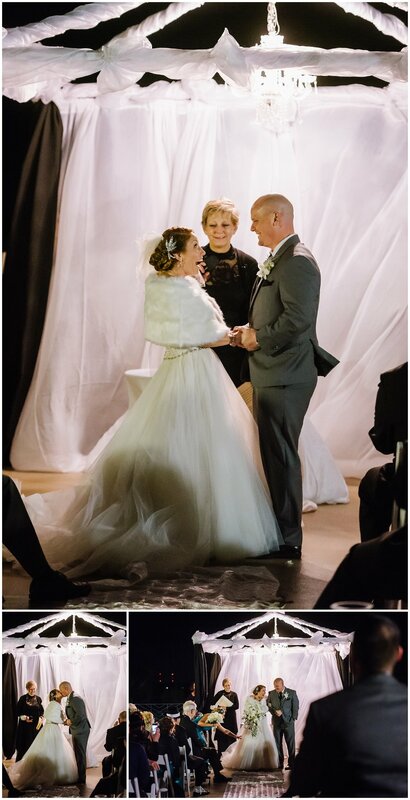 Danielle wore her mothers original veil and a beautiful faux fur stole. The contrast of the night sky and the chandelier light was so different and created a stunning mood. 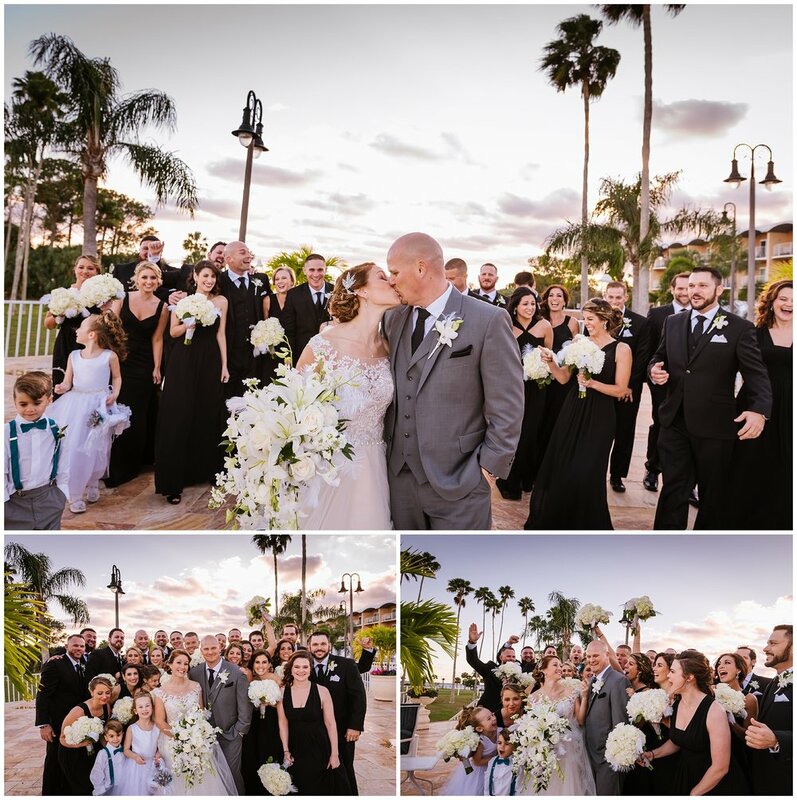 Against the wind and the cold they exchanged vows and officially became Mr. & Mrs. Searage! Before entering their incredible transformed ballroom for the reception I brought the newlyweds and the family down to the stage for some really cool formal portraits. 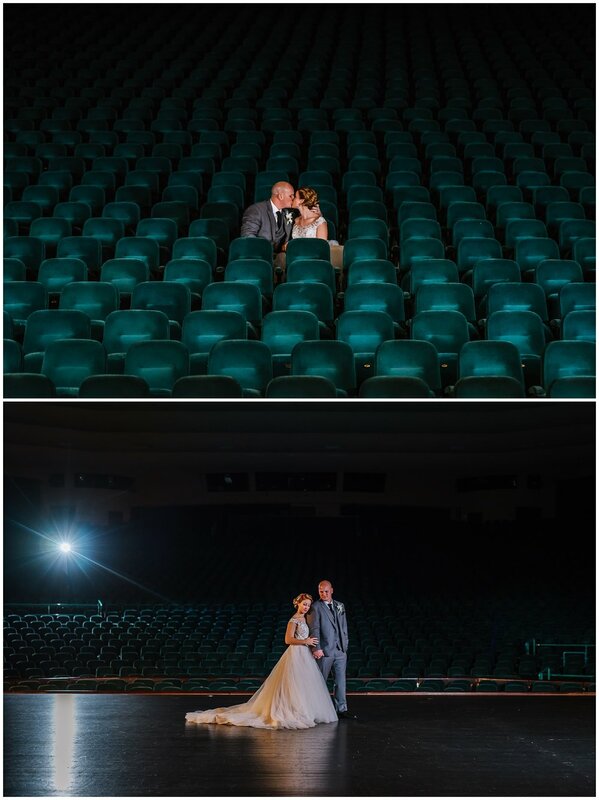 I had my assistant Kristina go way back into the seats with a bare bulb flash and shot into the auditorium to create a fun effect. The reception was so fun! SO much energy! 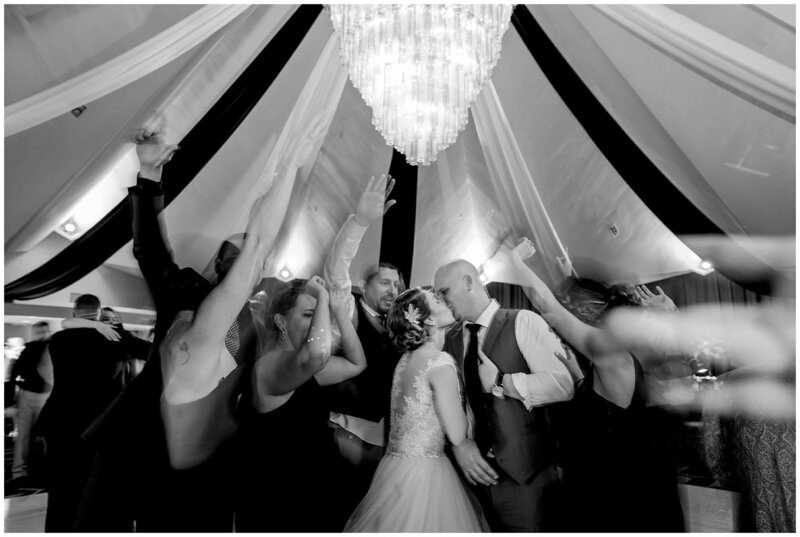 The bridal party had some really creative entrances and their first dance was epic under that chandelier! Congratulations to these two! I hope you enjoy these highlights from their wonderful day!